Burbank Viewpoints – Page 3 – Burbank, California – Information and opinion on the most crucial issues facing our city. 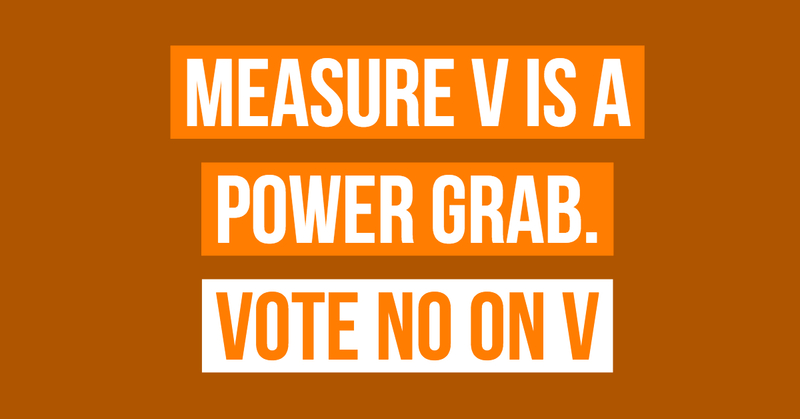 Measure V is a blatant power grab by the current City Council. The law in question (SB415) says we have to change our elections to align with the County and State by November 8, 2022. The state isn’t insisting we do this right away. So what’s the rush? If we waited to comply with the actual “due” date, we could still have two more elections! The City Council is using this law as an excuse to unnecessarily extend their terms. All that was necessary to be in compliance with the new state law was to have a plan in place by January of 2018. So oddly enough, we’ve ALREADY complied with SB415! The Council should have asked voters to amend the Charter first and then hold our general elections as planned until 2022. And SB415 allows us to have a special election any time to get our election cycle in sync with the state. Instead, what the city is asking of voters is a disgusting power grab. The good news is, we have a choice. The Council can’t change the city charter without our permission. (cities)…may hold an election other than on a statewide election date if, by January 1, 2018, the political subdivision has adopted a plan to consolidate a future election with a statewide election not later than the November 8, 2022, statewide general election. Think about this: Tim Murphy, who was appointed, not elected, would have his term extended with zero accountability to the residents of Burbank. 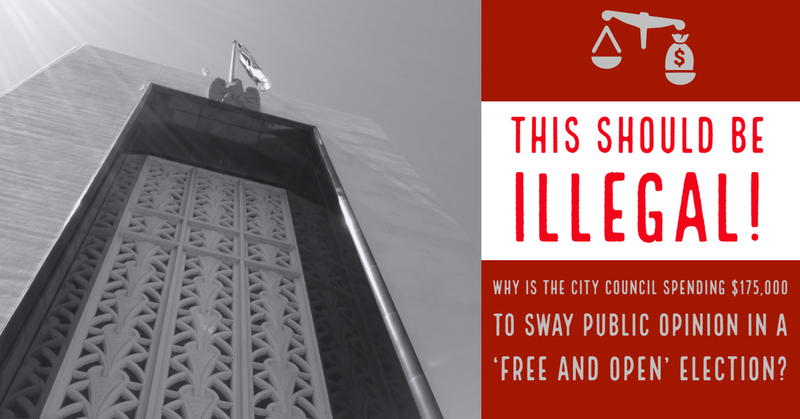 Why does the city need to hire a PR firm for a ‘free and open’ election? I’m cut ‘n pasting from Jim Casey’s Facebook post. Jim runs Preserve Burbank. We all owe him a great debt of gratitude for asking important questions. I was forwarded your email from the City Council concerning your questions about the hiring of our educational, outreach consultant, Cerrell. I’ve included the answers to your question as listed below. 1. Who authorized the hiring of an outside PR firm to promote these measures? On March 6, 2018, during the mid-year budget adjustment, the City Council approved the hiring of Cerrell “to have a professional communications firm (Cerrell Associates) conduct a robust public education and outreach program to provide residents with information on the potential November 2018 ballot measure and demonstrate the importance of dedicated local funding and the seriousness of the city’s fiscal situation.” To prepare for the November election, Cerrell has also been helping city staff with the June measures to ensure that Burbank residents are informed and educated regarding the facts. Cerrell was selected after a competitive bidding process was conducted. 2. How much is this firm being paid? The cost of the contract is $175,000 which includes hard costs. The majority of this is used for materials. Cerrell’s fees total $76,000 for work being conducted between March and November. 3. What scripts are being used to answer questions? The information being shared with the Burbank public is presented on the website, burbankelections.com. Here you will find current information regarding the June measures, questions and answers and the PowerPoint presentation used for public outreach and educational meetings. 4. Who wrote these scripts? The educational materials were written by both Cerrell and City staff. All have been reviewed by the City Attorney to ensure compliance with the law to provide factual information that does not persuade or influence. 5. What phone list was provided to this firm for contacting members of the community? The phone list being used to conduct outreach includes a diverse range of stakeholders groups within the City of Burbank. It is attached. 6. Who provided this list? The list was developed by city staff with the help of Cerrell and encompasses a wide range of groups. Thank you for your prompt and informative reply to my email. I have a few additional questions. 1. What specifically does “materials” mean as included in the “hard costs?” Does this include the Supplemental Voter Information booklets and postage? Can you include a breakdown of how this money is spent? 2. What outreach or public questions would need to be answered for measures that have no published “Arguments Against?” What is being told to callers who ask about this? Can you tell me what possible arguments there might be against these measures? I can’t seem to find any, anywhere. 3. How were “Arguments Against” solicited? How much public outreach time and money was spent to consider alternatives to the proposed measures? I’ll let you all know what I hear back. I’ve followed and researched this issue and will be posting a bit more in the coming days on the other local measures on the June 5th ballot. But this one is a no brainer. The State of California is forcing smaller cities with poor voter participation to move their elections times to align with statewide elections. That’s a noble effort that makes a lot of sense on its face. 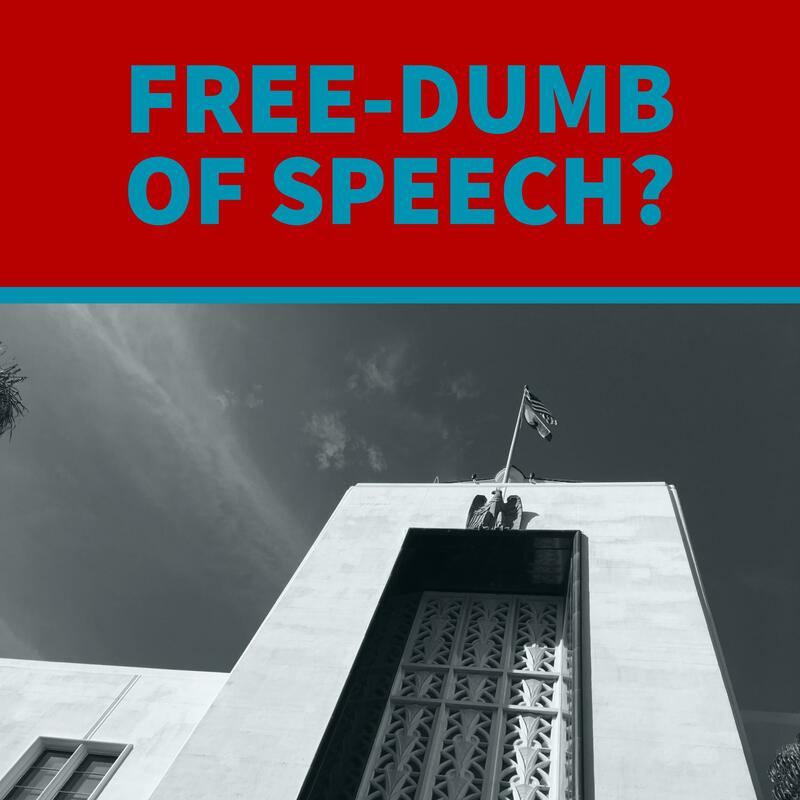 But there’s a catch: This is going to cost the Burbank Unified School District millions hundreds of thousands of dollars each election, by forcing them to pay for the cost of county elections! You see, the city has long wanted to offload the expense of school board elections onto the BUSD. Currently, the City administers and handles the school board elections. The cost for these elections is small compared to County-run elections. Moving school board elections to align with statewide elections will put an expensive burden on our school district. Guess who will get hurt by this? You’ll notice no one from the school board stepped up to write an argument in favor of voting yes on Y. They are between a rock and a hard place. 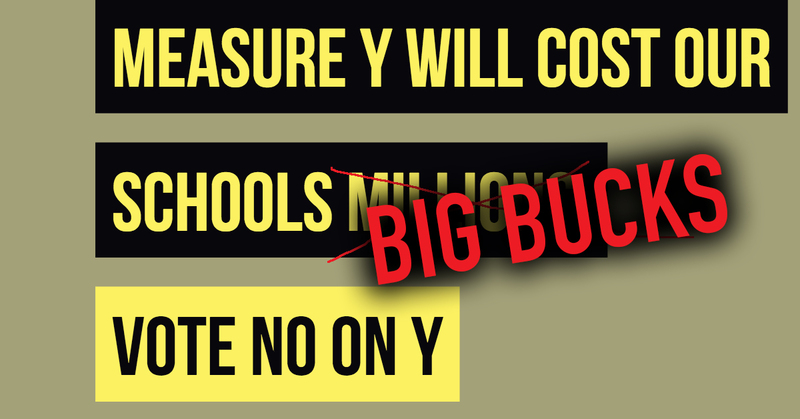 Urging voters to mark yes will cost them millions. Urging a no vote suggests “We hate Democracy!” It’s a sticky situation. As I have come to learn in my research, the repercussions of voting No on Y and thereby sticking with our current system, are not very serious. Literally, the worst thing that could happen if Y doesn’t pass, is that a judge could force us to comply one day. Why should we burden our school district? It’s an expensive strategy that will ultimately hurt students. I will also be sending a copy of this email to the City Manager and the City Attorney, and I am expecting a written response to my questions from the City. Please also consider this a formal request to have the use of media during the public comment clearly explained in writing for the citizens of Burbank. My neighbors Mike & Roy have plenty to say about Burbank. Here are the latest episodes.